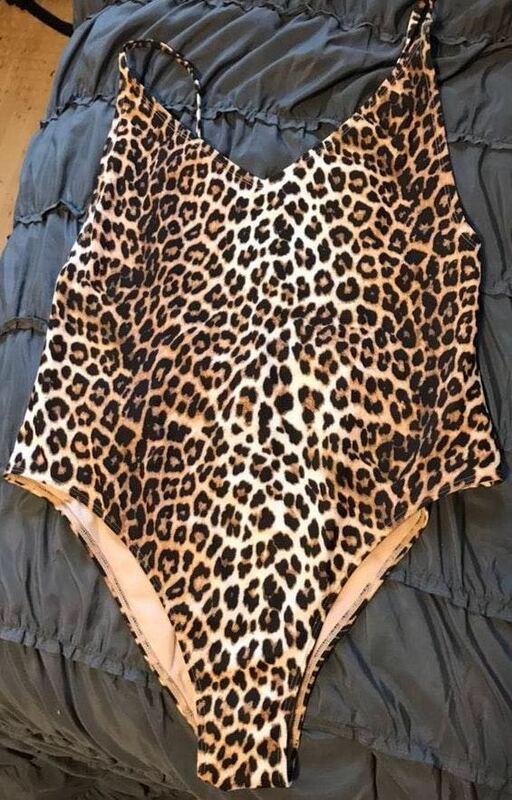 One piece leopard print bathing suit. Adjustable straps. Has some picks on the inside lining (picture included) but that’s it. Other than that the condition looks brand new.